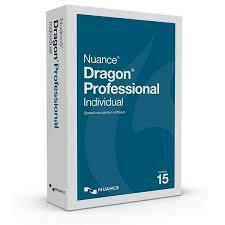 Dragon Speech Recognition software can greatly enhance your efficiency and productivity if used correctly. While it does claim to have 99% accuracy out of the box, here are some useful tips to ensure you have excellent transcription results from the get-go. Avoid skipping words. Speak every word, without fretting at first about the enunciation of the word itself. Dragon relies on the adjoining words to help figure out a word. Speak long phrases or full sentences. The more words in an utterance, the better Dragon can figure out your words from context. Avoid running words together. The tiny breaks between sounds help distinguish one word from another. Position the microphone appropriately. If you’re getting small words in your text that you didn’t say, like “a” or “and,” the microphone may be picking up small puffs of breath. Try moving the microphone more to the side. Then run the Audio Setup Wizard, by clicking the Audio button on the DragonBar. Select the Check Microphone option. You are forced to run both the volume and quality checks. Don’t speak too rapidly. You don’t have to speak slowly, but it is important to speak at a pace where Dragon can identify one word from another so they do not get all jumbled up. Run the setup wizard. If your voice changes volume over time, and errors increase, run the Audio Setup Wizard again, choosing to adjust volume. If you have a cold or allergies, or any other long-term change to your voice, consider doing some more general training. Speak the way you trained. When you trained Dragon, you read text aloud. Use your reading-aloud voice when you dictate text for highest accuracy. Need a demo? Contact us now to arrange an obligation-free demo on Dragon or any of our Philips products and let us show you how much more productive and efficient you can be.